The nature has always given a lot to the human beings. Very rarely have the people responded to the nature in the way they were actually supposed to reciprocate in. Human beings have always been known for being the superior one compared to the nature because of their thinking ability. But then one should not forget that the relationship between man and nature is interdependent. There are some people who have a very strong intellect and they do feel like doing their bit for the nature. But the problem with them is that they feel they are alone in this self initiated go green campaign. They often end up getting confused how they should rope in more people and get more people engaged in the process of giving back to the nature. As a result, they feel that they will head nowhere in this lone struggle and give up. But this should not happen anymore. Here are the most effective ways in which one can develop environmental concerns in their area! This is the simplest method to develop environmental concern. When you start a tree campaign, there is nobody who is going to stop you. This is because somewhere down the line the people do know the fact that the tree campaigns are meant for the good of nature and is a good thing. You can always find a small unused tract of land in your locality and start a tree campaign. You can propagate or popularize your campaign through small brochures or billboards. You can invite all the people in your locality to plant at least one tree. 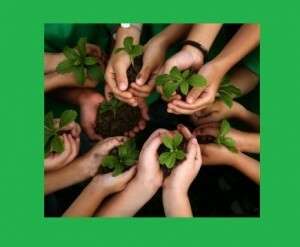 You can motivate people and see the force of the people with the adage that says “Each one, Plant one”. This can help in generating a mass movement. Who knows, your campaign might gain a lot of popularity. You should lead by example. There will certainly be other people who would get motivated by your campaign and actions. When you live in a society, you can always try car pooling to create awareness among others. When two or more people have to go to the same area for work, they can always go in one vehicle. One parent can take the initiative and drop other children to the school. Instead of every parent going to drop their wards, this system is certainly a lot better idea. It saves the nature from pollution. Natural resources like the fuel get saved. In addition to this, when you and your society members are implementing this technique of car pool, you always make the people around you wonder why you are doing this. Being human beings, they do have the tendency to be inquisitive and they ask you the reason behind this. When you answer them the reason, the awareness gets spread in your area. This is the advantage of car pooling! The generation of waste is one of the most worrying issues for the nature. This issue can be very well used for spreading the awareness among the people. Waste has to be managed well in order to minimize the adverse effects that it causes. You can create awareness about waste management by getting a few disposal bins installed in your society. You need not worry about buying the disposal bins. All you need to do is write an application to the local governing body and let them do the rest. You can teach people about the methods of waste segregation. Waste must always be separated as dry wastes and wet wastes. This helps in proper disposal. You can teach the people the need for this waste segregation, the harmful effects which can be caused if waste segregation is not done and everything else. You should teach the people to segregate the organic wastes and use it for composting. This composting can be done for the community gardens. If there are no community gardens, then you can use this method for the community garden plans. Yet another thing that can help you to spread awareness among the masses is by using the electronics good. This can be done in two entirely different manners. To put it in other words, there are two different stories linked with the electronic goods. Firstly, you can use the digital media to spread go green tips and go green lifestyle techniques. Social media can be used to popularize all awareness programs. Some friendly go green mails and tips can be sent to the people. The more the people read, the more aware and educated they get about the go green campaign. The second part of the story is about the electronics goods management. Electronic goods must be managed well. If some goods get old, you should teach the people not to throw them away. They could either sell it or get it repaired. Buying all that you want is different from buying all that you need. You should teach this basic difference of needs and wants to people. This is because electronic goods are very harmful to the nature once they get disposed. The last one yet the most successful way to generate awareness about environment in your area is by simple awareness programs. It is one of the best methods to instigate your apprehension over the environment with the help of other people in your locality. A few street plays depicting the environmental problems, their causes and the remedies is always an effective idea. People are too busy with their day to day schedules and it is our responsibility and duty, as responsible citizens to teach them small awareness lessons that can help the environment. Raise a small group of people comprising of your friends and relatives for this purpose. When you have a small group, your plan of action gets a wider range if people trying to implement it. Prepare small brochure and give it to the people walking in your main road. There are sponsors who are ready to provide you with the necessary monetary benefits to do such public awareness programs. Discussion forums could be set up which will surely help to generate more and more ideas for the same purpose.